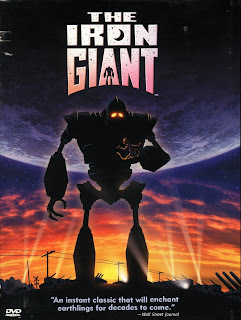 Essential plot rundown: A boy must protect a giant robot from the government. 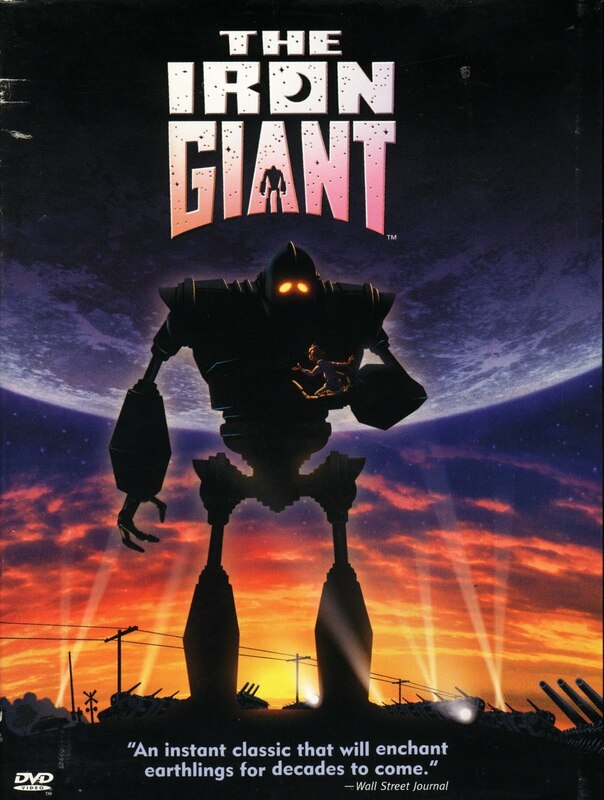 I watched this in my class yesterday. And I guess it's based on a book. This is a really good movie. Probably one of the best things about it is that it can appeal to both kids and adults. It is not a childish cartoon. It has a good story and it also has some pretty good themes and messages. (Though, I felt like it's "anti-gun" moral was a little heavy handed.) Other than that everything was handled pretty well. Like I said, the story is pretty solid, though not entirely original. It's pretty funny, there are some good one liners and comic timing; it's also a little moving. (I may or may not have gotten a little teary eyed...) The animation is good. 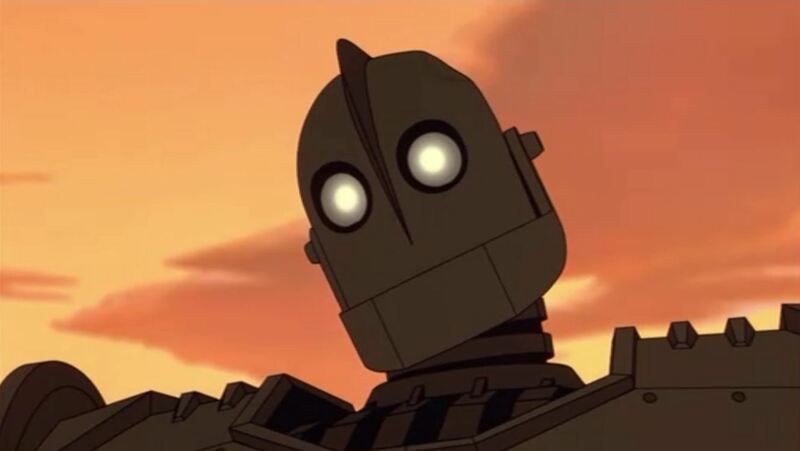 The Iron Giant has a cool design. And he's entirely CG whereas the rest of the movie is traditional hand drawn animation. There was only one negative thing I could think of. I don't see how a train could do more damage than an army. But I'm glad they haven't done a sequel. So overall, I really liked it. I don't really have much to say other than it has a solid story, good animation, it's funny and moving, and has some good messages/themes. I feel like this whole post is just me repeating myself... But you should go see it if you haven't yet.